The buyers of Toshiba Corp.'s memory device operations are promising to invest in technology development and manufacturing facilities to stay competitive, although they stopped short of giving a specific monetary amount or naming a new factory site. The 2 trillion yen ($18 billion) deal for the consortium led by Bain Capital Private Equity to acquire Toshiba Memory closed June 1 after clearing anti-trust regulatory approval. Yuji Sugimoto of Bain told reporters Monday the company may change its name to enhance the brand's image and is aiming for an initial public offering on the Tokyo Stock Exchange within a few years. 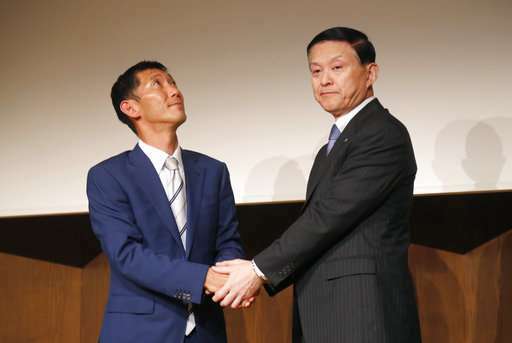 Sugimoto said he was also eyeing mergers and acquisitions to expand the company's business. He said talks have started with Innovation Network Corp. of Japan, a government investment fund, and the Development Bank of Japan on potential new investments, but nothing has been decided. Japanese interests control a 50.1 percent stake in the Toshiba memory entity, although investors include SK Hynix of South Korea and American companies like Apple and Dell. 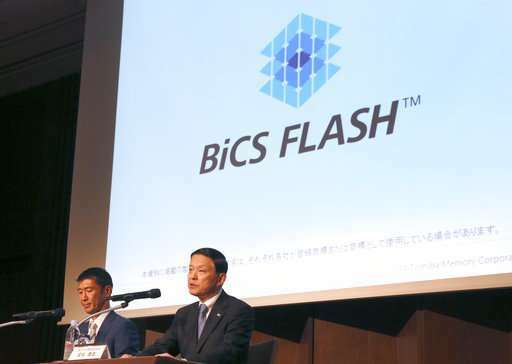 Their potential participation is being scrutinized amid fears the flash memory technology developed by Toshiba could be lost to overseas interests. In particular, Samsung Electronics Co. of South Korea is a major rival in the area of memory devices, which are crucial for smartphones, IoT or the internet of Things and other potentially lucrative sectors. 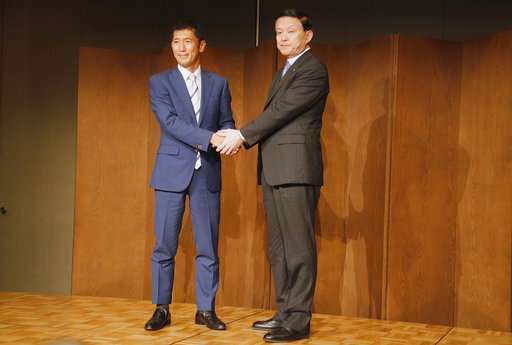 To ensure growth, over the next two years Toshiba Memory plans to add 500 people with skills in researching and developing memory technology, the company President Yasuo Naruke said. Details were unclear. 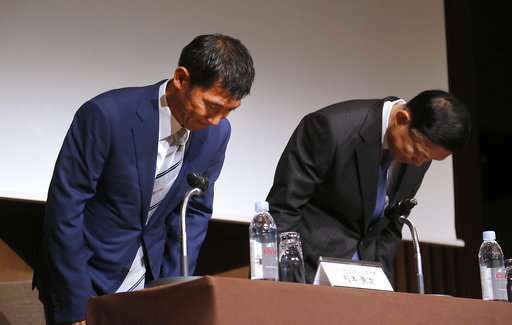 Naruke emphasized what he called "high-quality Japanese engineers," while Sugimoto stressed the importance of "hiring globally." Toshiba, which also has railroad and nuclear energy units, sorely needed to sell the memory unit after its U.S. nuclear operations at Westinghouse Electric Co. filed for bankruptcy last year. Toshiba's massive red ink in recent years began with reactors it has been building in the U.S., which remain unfinished, partly because of beefed-up safety regulations following the 2011 Fukushima nuclear disaster in northeastern Japan. Toshiba returned to profit for the fiscal year through March, a reversal of the red ink racked up the previous fiscal year. But the results assumed the completion of the chip sale by the end of June. 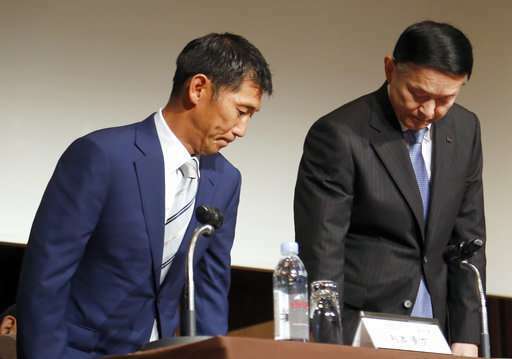 "This is a very important deal for Japan," said Sugimoto. "Competition is intense and developments are happening very quickly."